1 A Balinese man looks at the Mount Agung volcano fromt a temple in Karangasem, Bali, Indonesia. 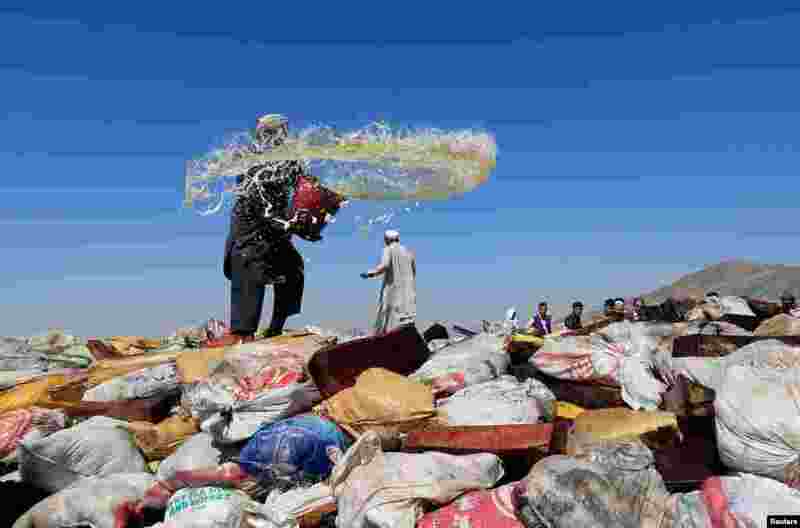 2 An Afghan man prepares to burn a pile of illegal narcotics on the outskirts of Jalalabad. 3 Kadri Gursel, a columnist for Turkey's main opposition newspaper Cumhuriyet, kisses his wife, Nazire Kalkan Gursel, after his release from Silivri prison outside Istanbul. 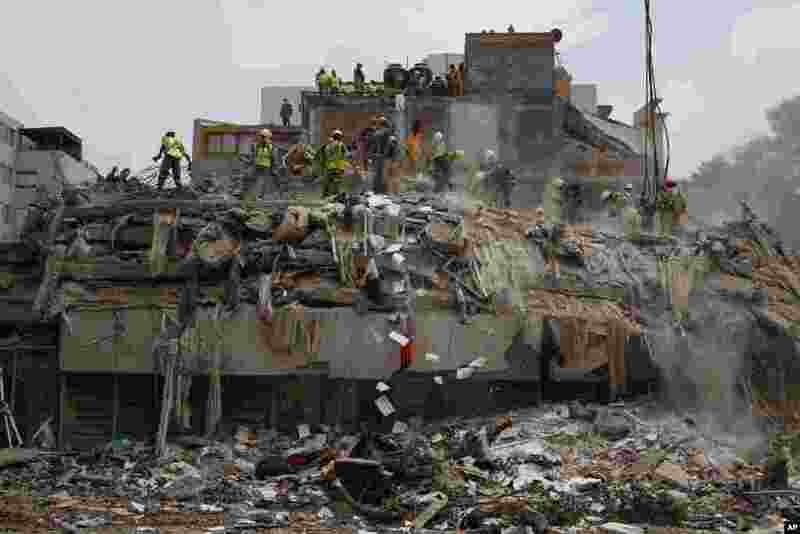 4 Workers shovel papers and debris off the top of the rubble of a building that collapsed in last week's 7.1 magnitude earthquake, at the corner of Gabriel Mancera and Escocia streets in the Del Valle neighborhood of Mexico City, Sept. 25, 2017.